Parkinson’s disease is a condition of the nervous system that impacts movement. Its development is gradual and starts with a rarely visible tremor in one hand. This condition is more common in older people, however, younger people can also be diagnosed with Young Onset Parkinson’s. Symptoms of the disease include tremors, decelerated movement, changes in speaking, writing changes, damaged posture and balance, and stiffness. Currently, there is no standard treatment for the disease. The treatment of each patient is based on their symptoms. However, there are several medications and therapies that are available to improve the qualities of the patient’s life by reducing the symptoms. Here are some of the treatments used. This surgery is used in the progressive cases of Parkinson’s disease to patients who are not responding to the drugs. The process includes the insertion of electrodes in the brain which are connected to a generator inserted in the areas of the chest. From the generator, electrical pulses are sent to the electrodes. These pulses help to reduce the symptoms. This surgery is done to eliminate the Globus pallidus which helps some patients feel better. It can improve tremors, balance, and movement. Tremors can sometimes be as a result of a troubled thalamus part of the brain. This surgery is geared towards destroying the part of the thalamus to block the causes of tremor from reaching the patient’s muscles. Researchers spend a lot of time studying prototypes of this disease in animals and cells. There have been several studies that have involved human subjects, called clinical trials. Taking part in a clinical trial can be a very gratifying experience for a person with the Parkinson’s disease including getting the access to the world’s top healthcare expert, advanced new treatments and high principles of care. Exercise is a very significant part of the human health. 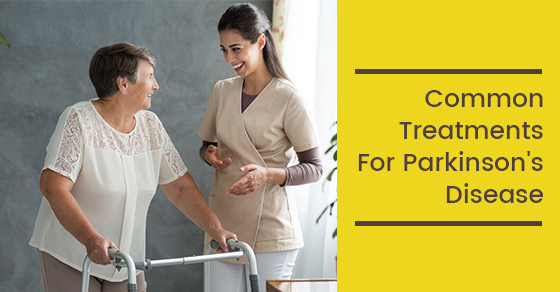 To a patient with Parkinson’s Disease it is an important component in helping the maintenance of the balance, movement, and their daily activities. Complementary therapies are used in addition to the medications. The examples of the therapies include acupuncture, massages, and nutritional supplements. With medicinal marijuana now legalized in Canada, it is evident that there is a strong interest in its medicinal properties. This drug has been shown to directly benefit some people with Parkinson’s Disease. Cannabis can be neuroprotective and can save the neurons from being destroyed by the disease. It is also used to treat symptoms. It is difficult to live with a chronic illness. Most of the time, a patient finds the loss of independence hard, particularly because the disease affects every aspect of their lives. Friends and families can provide emotional support and nursing care is also important. To learn more, call C-Care Health Services today at +1-866-433-1085 or contact us here.